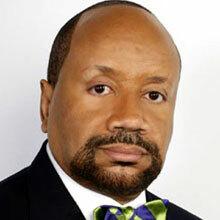 Bishop Donald Hilliard Jr. is a pastor, teacher, artist and motivational speaker. Most importantly, he is a loving husband and a dedicated father. Since 1983, Bishop has served as Senior Pastor at the Cathedral International (the Historic Second Baptist Church) in Perth Amboy, New Jersey. The church has experienced tremendous growth and has added two additional locations: Asbury Park, NJ and Plainfield, NJ.